Login What is Process Street? 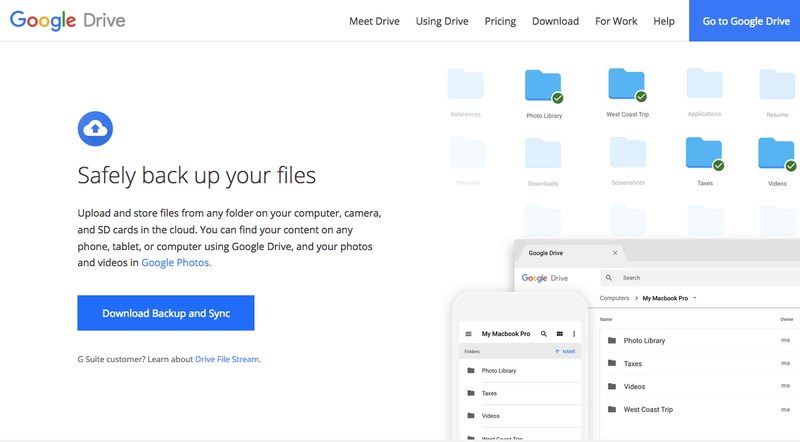 Back in 2014, I moved over from Dropbox to Google Drive and found a few unexpected benefits. At first, I had a little trouble managing the space since the 1TB on my Google Drive was bigger than my HDD, but after I got that sorted I started to learn some of the deeper features of Google Drive, some of which are pretty cool. Below is a big list of the top tips and tricks I have learned from my experience with the platform. Before we start, I wanted to offer you a bonus upgrade of 25 Gmail tips you can use to get super-fast at reducing your inbox to zero. Just click the button below to access your Gmail tips. Done that? Now, let’s get onto the Google Drive tips. Google Drive got its early breaks in the market by being far superior at collaborating with others than any other tool out there. This still holds true today. You can have a ton of people working on a document simultaneously and things will still run smoothly. One main advantage of this is that you can always see exactly what everyone is doing in real time, no matter what device they’re on. Activity is also logged so that you can review changes at your leisure – you can always know who edited or deleted an element and when they did so. Documents are capped to 200 collaborators with only 50 using the document at any given time. While it’s not the great for massive sprawling teams, for 99% of the users this is more than sufficient. Not only can you share and collaborate with people you invite, but you can also make documents public to avoid the hassle of handling individual user permissions. By setting your work to be public, you can allow anyone and everyone the ability to view or edit it, and even allow Google to use it in its search results. I have seen some cool examples of public documents being used, like Pieter Levels who used it to source the initial list for Nomads List. Just because you want to share and work with others, that doesn’t mean you necessarily want people messing with your stuff. Because of that, Google lets you control permissions on documents. The document itself can be set to be available for specific people you give access to, anyone in your organization, or anyone on the web. You can also decide whether to allow Google to show the document in search results or only allow those with the link, and whether users should be able to view, view and comment, or straight-up edit your work. To give collaboration a further kick, you can even have conversations around particular documents and spreadsheets. Just click the speech bubble icon on the top right to open a chat window. Anyone who is working on the spreadsheet can participate, which makes these conversations great for document-centric discussions. This way you can work on a document and chat all in real time, but all without leaving the page. When you use Google Drive a lot you can have a bunch of incoming documents being shared with you in quick succession. Sometimes it’s hard to remember exactly what the name of the document was. Don’t worry, there is a solution for this too. First, you can check out the “Shared with me” folder for a list of documents that have been shared with you. If that list is too long, just do a search for the person’s name or email address and it will bring up a list of all the documents you are working on with them. Easy! If you’re looking for a functionality boost to your documents, take a look at the add-ons. There is a huge range to try for both documents and spreadsheets, all of which can really give their usability a good boost. Check out Avery Label Merge, EasyBib and Gliffy to start with. There is also a whole directory of apps that work directly with Google Drive, all of which can help you make the most of your documents and data without so much hard work. 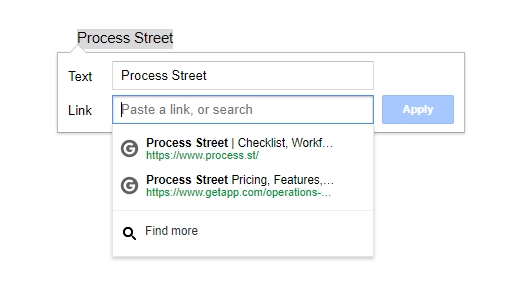 Actually, we are planning to build one for Process Street so you can view your Process Street templates straight from Google Drive. To get you started, however, try Cloudconvert for converting files and DocuSign for signing documents. Google Drive Apps are not to be confused with Google Apps (now called Google Suite). Although Google Drive has a button to select a file or folder to upload, you don’t have to go through the steps of clicking it and finding the thing you want to put on there. Instead, you can drag and drop files from Windows Explorer or the MacOS Finder right into Google Drive and they’ll auto-upload. One of my favorite aspects of Evernote is its ability to do OCR on images and PDFs then make them searchable. 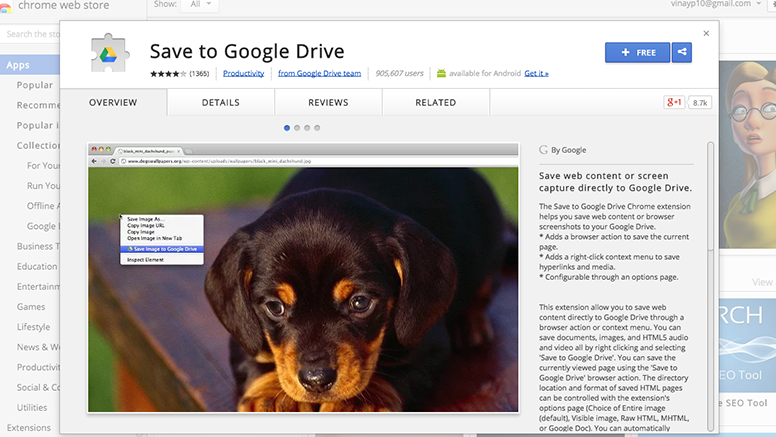 Google Drive also has this feature, allowing you to OCR your images and PDFs. To do this, upload your image or PDF to Google Drive, then right click it and select “Open with Google Docs”. Click here for more guidelines. Using the same method as converting your images to text, you can use the Google Drive mobile app to take pictures of documents, signs, business cards etc and then open them in Google Docs to convert them into text and make them searchable. While Evernote also does this feature very well, Drive’s OCR ability is nothing to be sniffed at. 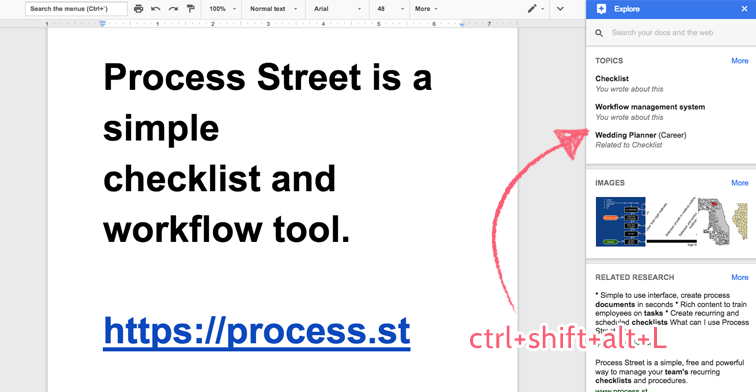 You can create a bookmark which, when clicked, will create a new document or spreadsheet inside Google Drive. This is a massive time-saver, since you don’t have to open up the relevant app or Drive itself and click “Create New” – you just have to click your bookmark instead. 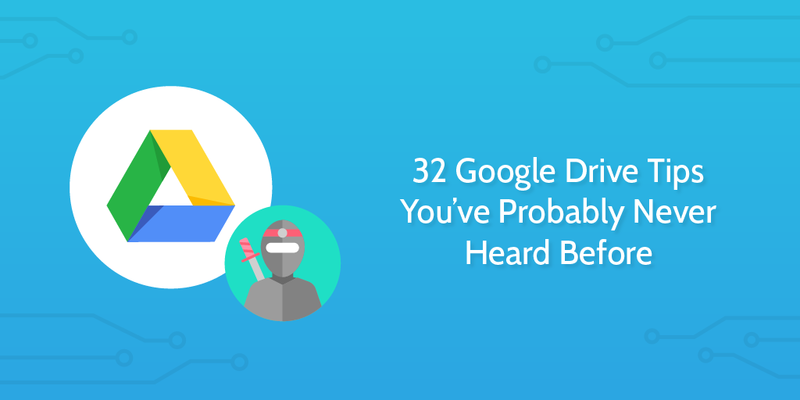 It’s handy to know that you can use Google Drive in the same way as Dropbox – as a local storage solution that’s synced to the cloud – with Google Backup and Sync. I moved all my files over from Dropbox to Drive back in 2014 and haven’t looked back since. Drive is far cheaper and you can consolidate all your documents, spreadsheets and files into one place, and it even has a much wider range of features than Dropbox. If you are looking for a file syncing or backup solution, it’s definitely worth looking at. Not only can you access your files offline using the Dropbox-esque desktop app, you can also allow offline access through your Chrome browser. Come rain or shine, internet or no connection, you’ll be able to access and edit your documents. I love Evernote and use it daily as my infinite shoe-box. However, if you haven’t got on the Evernote train yet or you just like the idea of everything being in the same place, you can use the Chrome Extension called Save to Google Drive. This acts as a kind of sub-standard Evernote Web Clipper, allowing you to save pages and articles directly to Drive. You can’t just copy out the text part, however, as it will save the whole site as a PNG, the HTML source code or transform it to a single document, thus killing the formatting. It’s not very useful if you already use Evernote but still an option. Another huge reason to switch to Google Drive is if you are heavy Gmail user. The first big benefit is when attaching files. 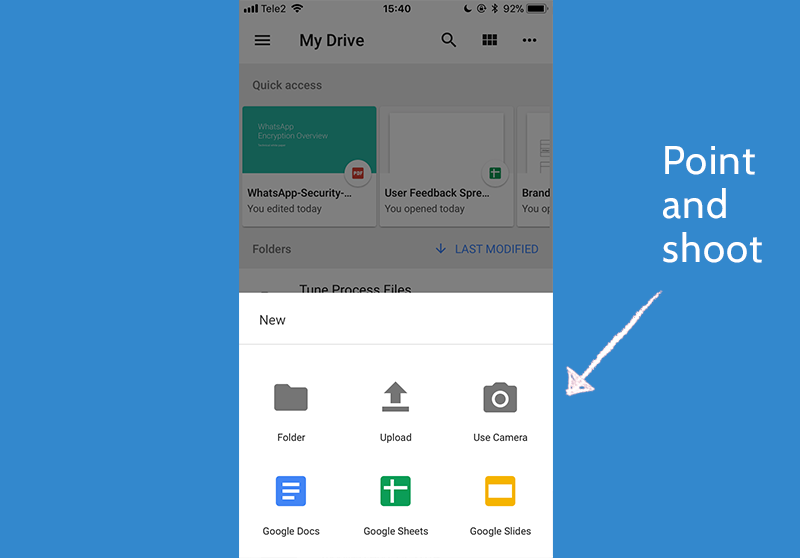 You can add files directly from Drive without needing to wait for them to upload, plus you can send much larger files – try 10GB instead of the standard 25mb. If you are trying to get away from email, you might want to check our post on email alternatives. It’s incredibly handy to be able to use the search bar in Gmail to search through Drive, letting you find what you need without having to leave your inbox. Admittedly, though, this is something you would expect from the world’s leader in search. Another cool addition to the Google Drive feature list is standalone apps for Docs and Sheets. This is great if, for example, you spend a lot of time in spreadsheets and want a dedicated, fast app specifically for editing and managing them. What more could you need? Well, keep reading to find out. I have a love-hate relationship with this feature. You can upload MS Word and Excel documents to Drive and it will give you the option to auto-convert them into the Google Docs format. While converting the document makes it easier to collaborate around and edit from your mobile, Google Docs and Spreadsheets still don’t have the depth of features and customization the MS Office desktop apps have. Hence why this can cause you to lose formatting on your documents. This isn’t a deal breaker by any means (and it’s better to have the feature even if it is a little janky), but one of my biggest pet peeves from this is that you lose the color on cells in Excel. Google Drive continues to impress me with it ability to open almost any format file in the browser. You can even open things like an Adobe Illustrator file to view without booting up another app. Basically any type of document, image, spreadsheet, PDF, video, audio file, and more can be opened in the browser version of Drive. While there may be some exceptions, I can’t think of a single instance where this feature has failed me. There are a bunch of form builders out there, but Google is completely free with Google Drive for unlimited use. Plus it integrates very nicely with spreadsheets. Each form entry can be added as a row in a spreadsheet and you can then pull that data into other tabs/sheets and manipulate it automatically. Pretty cool. 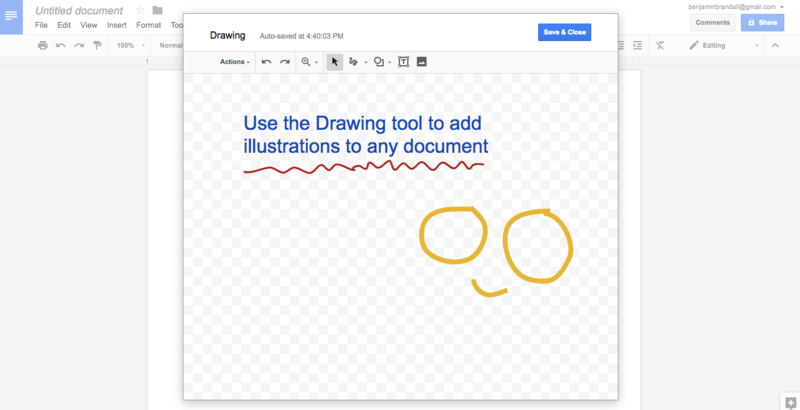 If you want a quick and easy way to add images to your documents, try the built in Drawing tool. Go to the Insert menu in Docs, Sheets, or Slides and select Drawing. You’ll get a scaled back version of the Drawing app that makes it a breeze to include your art. It’s no Photoshop, but it will work just fine for the basics. It’s no secret that you can hide the menu in Google apps to focus more on what you’re doing, but it’s even more useful to double down on your full screen efforts and completely eliminate distractions. Click on the “View” menu then select the full screen option. This will remove the apps toolbar and options, giving you a clean writing screen. Next, go into “double full screen mode” by hitting F11. When you’re done, just hit F11 again to return to your regular browser view. Use the “Explore” function (in Docs only) in the bottom right of your page to do a Google search from inside the document, saving you from searching manually and getting distracted by all that clickbait. You can even pull information from the search and have Google create an auto footnote citation in your document. You can use this feature to automatically create your ToC, but first you need to format your headings correctly. Make sure that you’ve set used H1s, H2s, and H3s to correctly segment your work (just as a book would with parts and chapters), then click “Insert” and “Table of Contents”. If you want to become a power user of any piece of software you have to master the keyboard shortcuts. Google Drive is no different, but thankfully there is a handy guide that they provide to help you towards that goal. Access a list of all the shortcuts by hitting Ctrl+/. The photos have to be under 16MP. That means you can’t upload 4608×3456 originals from your DSLR, but you can still store super-high quality images there for free without eating Drive space. In their words, Insync is the most powerful Google Drive client ever built. What that means for you is that you can manage multiple Google Drive accounts from one app – Insync pulls data in from all connected accounts no matter where they are. As well as that, it automatically converts Google Docs/Sheets/Slides files to their Microsoft Office counterparts, automating a lot of busy work you could end up wasting time on. It’s great to have well categorized folders, but sometimes we want to bring up the one document we need straight away. I say sometimes, for me it’s always. I would much rather be able to simply type within the search box and have the exact document I’m looking for appear in front of me. Fortunately, within Drive that is as easy as could be. At the top of your screen you will see the search box. As you probably already know, you can start typing in there and it will suggest the files you’re looking for as you type. This is a useful feature in and of itself. But what if I told you it got better than even that? There’s a little dropdown arrow at the far right of the search box which brings up a series of filters. With this dropdown, you can search for documents with specific owners, documents which have been starred or moved to trash, or documents from within a particular timeframe. If you’re a Drive power user like I am and have heaps of content to trawl through, this powerful search functionality is a godsend. If you’re typing in Google Docs, it’s worth considering factoring their dictation functionalities into your workflow. Often, I’ll find myself wanting to source a book or some other offline resource and include a quote. It has made it very easy for me to simply switch dictation on as I lean back and read out loud the sections I want to record. Google Docs then does the hard work for me and types it all up real time. The quality of the software is high, but it can make mistakes. Fortunately, these are very easy to correct and I feel I still receive a net gain in terms of time from the dictation feature. There are a lot of options on the market for dictation software, but Google Docs certainly should be checked out! When I’m writing, I often find myself wanting to link a word to a webpage to provide a little more information. Often it will be a link to a company page or a Wikipedia page. Or even an article I know well and think will be relevant in the text. 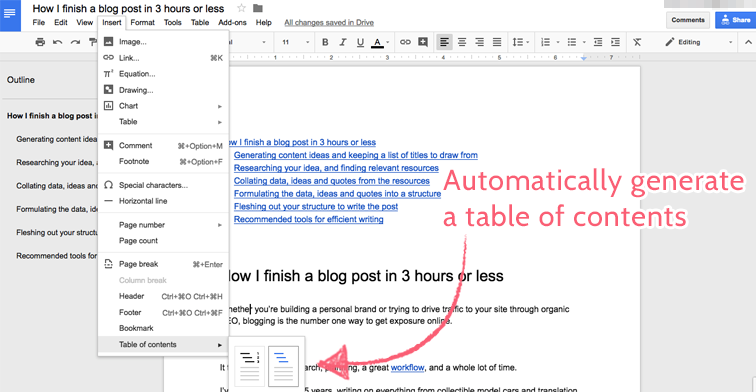 This is where I love the Google Docs feature that does rapid linking. If you highlight a word and click to insert a hyperlink, Google will search the web for that term and suggest to you the top two results. If it is a brand name or a Wikipedia article I want to add, this makes the process as easy as possible. If it is an article I know, I can just begin typing the title into the text field and Google automatically brings it up. A great little shortcut for my workflow. At Process Street, we’re big fans of automating simple tasks to create more time in your day. This boosts your productivity and lets you focus on the most important aspects of your work. Our go-to platform for third party automations is Zapier, and you can use it to connect your different G-Suite products. Zapier has over 750 different applications you can link together through automations and this allows you to make even more out of Drive’s functionalities. Check out our ebook, Ultimate Guide To Business Process Automation with Zapier, for the complete breakdown of how to bring automation into your business. Love using Typeform to gather survey results? Hook it up to a Google sheet to record all your data. You could even connect that Google sheet to Slack and have each response automatically posted into a Slack channel so you can be updated on it in real time. 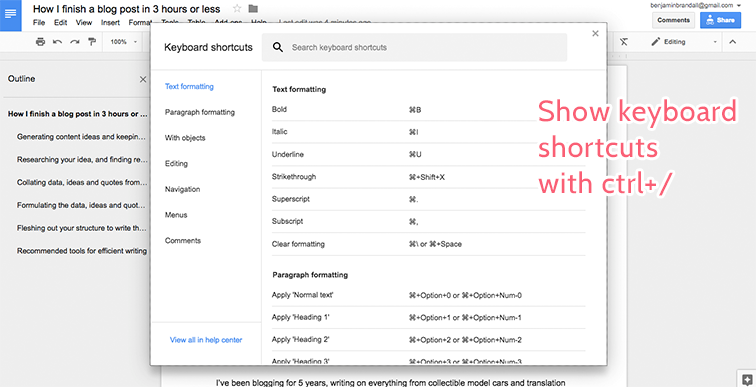 In Google Docs, you can create shortcuts based on what you type into the documents. For example, you might be a project manager who regularly types “needs more information” or some other key phrase. With this autofill text function you can set it to auto write the phrase when you type a shortcut like “nme”. So any point in the text you can type “nme” and it will autocorrect to “needs more information”. You can do this with multiple other examples; the value proposition for your startup, for example. The possibilities are endless. 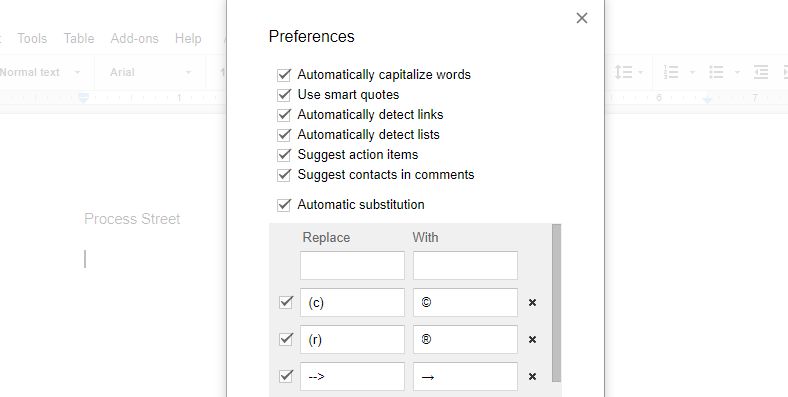 Simply go into Tools then Preferences then play with your automatic substitution settings. Bonus: Get a list of 25 Gmail tips! 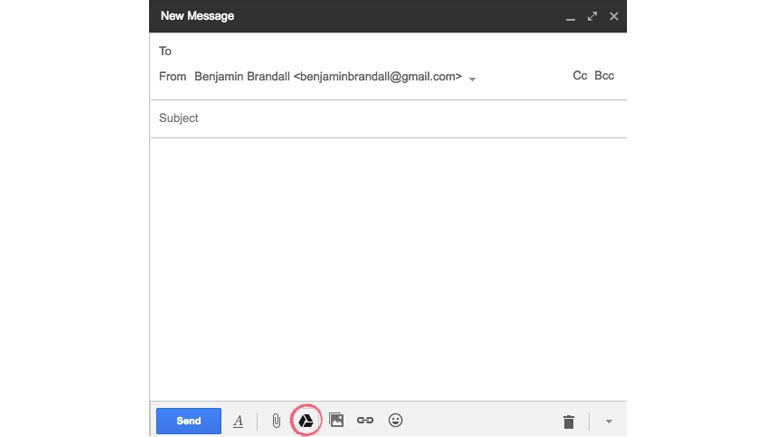 We’ve put together a list of 25 Gmail Tips that’ll turn you into a power user. Click the button below to access them. And that’s it for my list of Google Drive tips, if you know any I missed out please leave them in the comments. Thanks for subscribing to the Process Street Blog! Failed to subscribe. Please, try again later. 1) Non-Google files and multiple people syncing those files. Ranges from Google Drive recreating deleted files. Moving moved files back to their original location. The more files you have, the more confused Google Drive seems to get. 2) We have Google Drive running on a decent machine, and it constantly crashes the app. Granted we have a LOT of files. The sync prep process itself ( after you restart it ) takes approximately 25 mins to start syncing again. It’s during these times that Google Drive seems to get confused about what to do with the file. Seriously ck spider using insync instead of the google drive app. It’s way faster and more stable with selective sync options. Insync looks awesome, going to check them out for sure. Hi Josh, are you still having these issues, I haven’t had any sync issues in 2015 with Google Drive. I really loved your post. Since I started using Google Drive fan, I have not used pendrives any more. It is really fantastic. Haha, yep, no more pen drives, external hard drives or DVDs. Just the sweet sweet cloud. Check out this post I wrote on how I ditched my 3 external HDDs for Google Drive. I agree with Nelba, great post – and it really is fantastic. I mainly use it for collaborations (I usually use Dropbox for syncing my files, etc.) and I love the fact that you can see what everyone else is doing – AND you can chat to each other. It’s such a useful feature. I still need to explore some of the other features, so thanks for all the info! The collaboration features of Google Drive make it stand apart for sure. Thanks for stopping by Ashley. It would be really cool if Google could sort this flaw out ! Woah, sounds like you are having a few issues there. Are these still happening for you Truffle? I think you are looking at Drive through Rose tinted spectacles! You maybe able to view photos offline in Drive, but you have to wait ages for them to open on my tablet (Samsung Galaxy Note 8.0). Also you cannot transfer files or photos directly from Google+ to drive , you have to download them to your PC then up load them to Drive. @Martin: I disagree with your post. On my Nexus 9 Tablet (Android 5.0.1), all photos that are stored in the Google Drive cloud are displayed immediately, e.g. in the Google Photos App (even together with those stored on the tablet, soo convenient) – does not take ages at all. Plus: I can export whatever picture I like of any given Google+ post directly to my Google Drive, just did it now to make sure it still works. Maybe a problem with your tablet and/or Android Version? and even from a PC running old Windows 7, you can add Google+ pictures (and all other photos displayed in your Chrome Browser…) directly to Google Drive by rightclicking / “Save to Google Drive” – works excellent..
Vinay, the link to your article is not working. One extra thing to notice: files in Googles own format (gdoc, gsheet, etc) don’t add to your free memory storage of 15GB. So you can store as many files in Drive as you want for free as long as it is in Googles format. Even better as I prefer those formats over Word, Excel, etc. Epic! I didn’t realize that! Also now with the unlimited photos option you can get a ton of value for free from Google Drive. This is a great overview of Google Drive. Actually, it’s the best I’ve seen. However, there is still a challenge when Google Drive attempts to sync a large number of files. It almost seems to get confused at times. I’m sure that will be ironed out at some point. Hi Gene, are you still having issues with this? I have Synced 350gb with Google Drive without many issues. Thanks for this information. I’m not sure if the blog posts above have discussed this exact problem, so here goes: I have google shared drive an app on my iPhone six. When I re-organized the file folders on the app and added new folders, none of these changes were synced with Google Drive on my tablet. Any suggestions on how to make the app sync with the desktop Google share drive? Hi Lisa, try uninstalling and re-installing the app on your tablet to see if the changes are updated. I have heard of Google Drive getting out of sync on mobile devices before, I am not sure if this problem has been fixed yet or not. I discovered that the work done on the Google app in terms of creating and rearranging file folders is only a copy and the changes on the app have to then be uploaded to the Google drive. It appeared to fix the problem of the folders not being replicated on Google drive. There are still loose documents which I deleted on the app which still remain in the share drive. So it appears I will have to manually delete these from the share drive. Google drive is mostly for collaboration. If you are looking for a way to send documents so they can’t be copied and you can track who viewed them etc, check out DocSend. For one reason or another, I can’t see all of this content, stuff keeps hiding? Are you taking advantage of XHTML? No we are not, weird that it is happening to you. Let me know if you are still having issues. I have a question if anyone can help me please. I am new to drive and am uploading my photos currently. Can I delete the original files from my hard drive now? Hi Lizzy, no, you can’t delete them, you should “unsync” the folder so that it just stays online. This will automatically remove them from your desktop. I work freelance, so I have a range of clients across different projects. That means I need to be very selective about who has access to what. I’m still exploring more benefits of Google Drive. So far – it’s a great meeting place. We use Google Drive for tracking sheets, training and collaboration; and Dropbox for storage and sharing files. We had one issue with Dropbox when a core team member left the group and their access was revoked. All content uploaded by them to Dropbox became broken links, since Dropbox was sourcing files from that member’s “owner” folder. We contacted Dropbox for solutions, and experimented ourselves – finally streamlining an approach which ensured we never got stuck with “lost” files again – no matter who uploaded them. Then, whenever files needed to be moved (or access blocked if team members were leaving), the file was “copied” to its new folder, then deleted from its original. It was written into operation protocols that if a team member required a new subfolder, they had to put in a request to the PM to create that folder and then invite the relevant team member – rather than that member taking initiative to create a new folder themselves. Whatever system works best for you, our fumble is a great reminder: you need more than one back-up plan in action. I can tell I’m going to learn so much more from your blog, Vinay. Hi Sidhe, thanks for stoping by. You are absolutely correct you should have more than one solution for your key data stores. Amazon has a $60 per year unlimited plan which could be a great secondary backup source. There are services like mover.io that allow you to move data between the key services and run scheduled backups. Can never be to careful! I created a folder of photos on Google Drive, shared with others (allowing editing so they could add to the folder). When previewing the photos as icons, the photos look perfect — colors are great. However, when the person I shared with clicks on the photo, the photo shows as all in shades blue. Any suggestions? What happens when they download the photo? does it look good? I have seen this same thing when sharing powerpoint slides via Google Drive, sometimes the quality can drop when you view it in preview mode but when you download the file and view it on your local its perfect. you know when you are in real-time with someone.well a little box or circle comes up with there initial or picture.well how do you change that.there is someone in my class who changed theirs and i want to too. That is your Google Account photo. Update it from your Google Account settings page. have approx 50 videos which i was able to watch in drive. no more! now it says i need more apps to view them? thanks vinay. plenty of room. not even close to limit. now … none of the videos are viewable. what a PIA!!!. I have heard that dropbox disabled public viewing of people who were using it as a video hosting service. Like if the videos got over a certain number of views they deemed it as “Public sharing” not private sharing and cut the access to those videos or those accounts. Maybe Google Drive has a similar rule? Can you tell me how to upload photos to google drive but keep the original file name? I have uploaded photos from my iphone but Google Drive renames all of the files and they are thus out of order. Great article, but I seem to have a major problem with google drive, and can not seem to find an answer on the web. I’m having a problem to restore files that I have backed up with Google Drive on the web. You see, I have my all my data belongings backed up on GD,including documents, music, movies and etc. I am now trying to re-organize my data, and so I am trying to download files from my Google Drive. I get a notice that it is compressing the files and then I get that compressed file it downloaded to my computer. However, nothing seems to open these files. I have even tried for test purpose to download one file at the time, one song, one document and etc, and then manually add the appropriate extension to its name (doc, mp3…) but nothing works. I can not open any of these files! How can I safely download my backed up files from Google Drive on the web, and restore them to their original format? Hey there! I have a question and could`t find the answer anywhere! I have Cuda Drive (it`s a desktop application from Copy.com cloud storage). And what it does is show me every file that I have in my storage, but only downloads the files that I use most, and until the limit that i have set (10gb). I know Drive has a option to sync only the folders that I want, but my question is: Can I see in my PC all files that I have in drive, or only those inside the folders that I choose to sync? I’m not sure about the app you are using but in general you can only see the files you have synced on your desktop, on your desktop. If you want to see all the files you need to login to the web version or use the mobile app. Collaboration in Google Drive app is mainly derived from Google Wave. An excellent but experimental social platform that was ahead of its time. Thank you for the article. I ended up here as I am trying to find how best to keep all Emails and Docs associated with a project in one file. Can I keep a Doc under a GMAIL label or use a DRIVE FOLDER to move emails to. Is there a way to be looking at a document and have no one know I am looking at a document? Almost like I can be set to ‘away’ of some sort? If you use an incognito tab it will track your user an as anonymous user, but the file will need to be set to share publicly before it will let you do that. 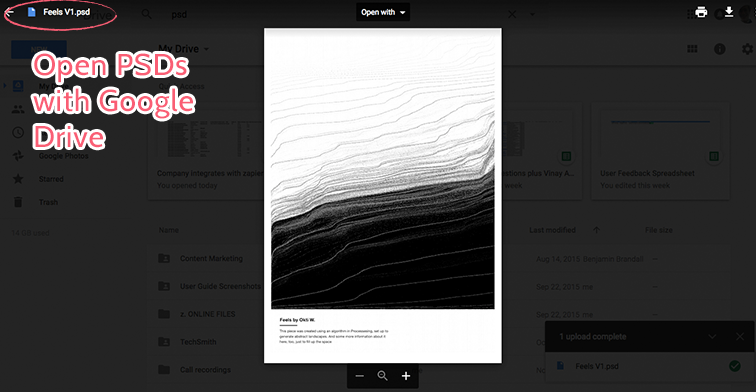 Can you copy a file from Google docs with it leaving any trace of activity behind? The general use appears good but has anyone used it to handle an encrypted file that appears as a regular drive when encrypted on the local machine. Additionally if a file in the encrypted volume is changed does drive re-sync the entire file properly to include the change in the contained file? From what I see at this time drive is great for information not requiring any security concerns but not for any that contain private information. I want to know how to view one entry from many entry in spread sheet? Hey not sure what you mean exactly here? Are you asking how to link cells between sheets? I was wondering if there is a way that Google Drive can open a large Microsoft Office Excel .xlsx file of about 25MB. I uploaded it, but Drive can’t open it – a message comes up that says the file is too large. These are the documents, spreadsheets, and presentation sizes you can store in Google Drive. Documents: Up to 1.02 million characters. If you convert a text document to Google Docs format, it can be up to 50 MB. Spreadsheets: Up to 2 million cells for spreadsheets that are created in or converted to Google Sheets. Presentations: Up to 100 MB for presentations converted to Google Slides. All other files: Up to 5 TB. I was wondering if there is a way to convert a placed word document in google drive to a Google Drive document instead. The upload would happen through the desktop. You can only use OCM using a Chrome browser on your computer. Open a Chrome browser window. Install the Office Editing for Docs, Sheets & Slides Chrome extension. Open any Office file and start editing. If you see “Office Compatibility Mode” in the menu, you can edit the file or save it to Google Docs, Sheets, or Slides. Note: To edit Office files on a Chromebook, see instructions in the Chromebook help center. I’m using google drive for years now. Tried dropbox and all other services but always get back to google drive. Thanks for the tip how to autogenerate the TOS headlines. New to me. 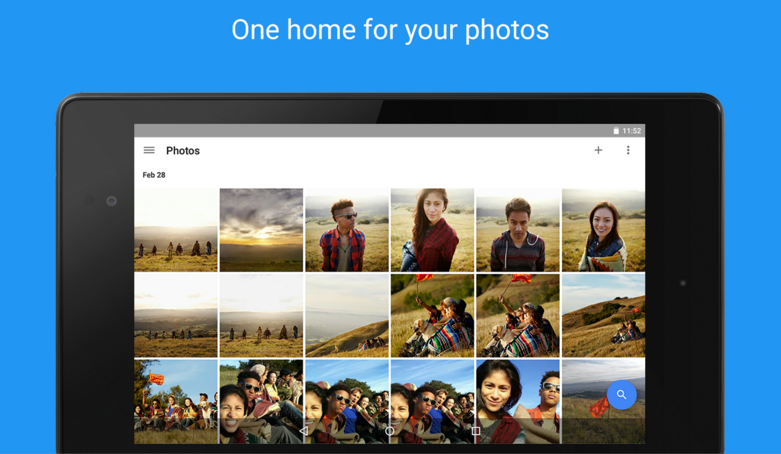 How can I make google drive to synchronize photos first and videos after?? videos take too long and dont have good internet… thank you!! “The photos have to be under 16MP. That means you can’t upload 4608×3456 originals from your DSLR…” 4608×3456=15,925,248, so you can, in fact, upload those originals from your DSLR (at that size and below, anyway). That’s under the 16million pixel limit. I came here looking for a way for the “local” Google Drive to show files & folders that are owned by my son and shared with me. The “local” Dropbox does it automatically. The “local” Drive apparently does not and I have to use Drive in the browser. I was hoping for a tip or hack to allow it. I looked at Insync, but their bottom $25 plan requires 2 licenses, one for my account and one for my son’s. The thing is, I don’t want access to all of my son’s files, just the one he shares with me. Anyway, thanks for tips above. A couple will be very helpful to me. Hey Richard, I think you have to move the files from “Shared with me” to “My Drive” in the web version to get them to sync locally. Your readers may like a free replacement for Insync, at http://odrive.com. 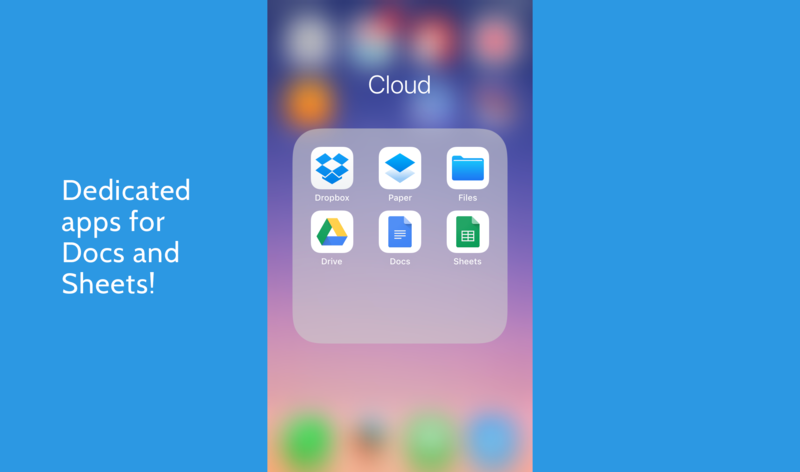 It will link multiple cloud accounts into one ODRIVE folder, with sub-folders for each cloud account. Very simple installation and use. I have a question concerning the piece, where can i e-mail the author? I need to upload ~200 PDF files to google docs (filenames will be preset document numbers of our in-house published documents). On an index, I need to allow the users to link to directly to each uploaded doc. 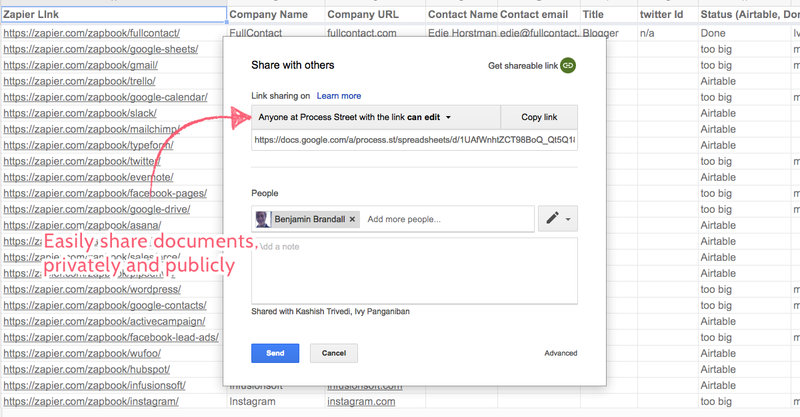 Interesting predicament — I’ve often wished that Google Drive’s sharing links could be predictable/structured. I’ve just had a search around for you, and the best I found was a service that lets you create custom links for Google Drive files — but only if the files are public. It doesn’t look right for the situation. By getting that audit log, you could quickly copy all the file links out of it. I have a few google docs that include pics. When I open the documents they look ok. But when I send them to other people as a link the images show up really blurry. I don’t want to “share” them from Google’s interfaces, since many of the people I want to send the docs aren’t really into Google. Besides I want to show a text like “click here” instead of the actual Google link. Have you tried uploading the images to Imgur, and pasting the links in, instead? If the Google Docs formatting is messing things up, you should host elsewhere and link in. Is that what you’re looking for? What an extensive list of tips. As a huge fan of Google Drive, I have to admit that I didn’t know some of the “tricks”, like the OCR related features. I heard about the technology but didn’t know that Google has integrated it into GDrive (awesome!). I’ll definitely test it out to see if it would well handle scanned PDF documents (extracting the text, and perhaps images?). P.S. shared your article on Twitter, no problem. But when I clicked the Pinterest button, it won’t allow me to pin (the browser says something like “please disable your popup blocker”), just wanted to share this feedback in case you want to fix it. I downloaded the Google Drive App and want to sync the drive to my computer. However, I have a Macbook Pro and the syncs takes way too much space on my HDD. Do you know how to sync Google Drive to an external HD like a Passport Air? Thanks! Hey! This might be a stupid question, but I honestly I don’t know where else to ask. Hitting a keybinding like this requires me to press four buttons simoultaneously (Ctrl+Shift+AltGr+7). Fortunately, this is physically possible on my keyboard, but even so, when I press this key-combo in Google Docs, the only effect is that I simply type the letter “/”. The problem persists with other keybindings that need bigger combinations of keys like this one does. Do you have any ideas as to how to get around this and actually use the keybindings as they are displayed in Google Docs? I would like to access the full functionality. Is that an option for you? I wanna make sure that if the person1 is making enteries sheet shouls automatically write Person1 in the google sheet in the respective column!! Can google sheet allow this for detecting the user who is making the enteries! Excellent point! I’m not entirely sure, but I do know that nothing ever will be lost. If it’s overwritten it’s going to be discoverable in the edit history. It allows to keep the paper-size formatting of a published-to-the-web document instead of being full-width which is something really annoying. Simple, easy, free and open-source. so this is really a bad things. Is absurd that i can’t erase my log activity! Great post Vinay! Thanks for putting this up. I came here looking for ways to monitor/track the number of hours my collaborators are logged on to the drive. Do you know any app which can help in that? Bonus Tip #3 .. use http://orangedox.com/drive to track your shared Google Drive documents including PDF page view times! Hi Vinay, thanks for the insights, a great post. I am facing an issue with GD and was wondering if you knew of a solution. Someone shared a file with me and it is appearing under “Shared with me”. I want to delete this file, however i am unable to do it . I tried removing it to trash, but it wouldnt move. There were many other files under “Shared with me” and i was able to delete all of them, but this one file remains..i looked around in forums etc but couldnt find a solution, there were some posts suggesting to do unsubscribe and then delete, but this was back in 2012 and now the unsubscribe button is not there in GD…know of any solution? Great article, this is a very good example on how to improve the experience with Google’s products by customization. Pretty! This was an extremely wonderful post. Sometimes we get an error when we try to delete a File or a folder for no reason , but of course there is a reason.We have many damage file or blocked files.Do not worry if we want to remove the error files or too long path files from our system,here I suggest a smooth way.So use “Long path tool” software and keep yourself. You have some Duplicate Files on your computer which hampers your memory space. Just use “DuplicateFilesDeleter”.If you use this software you will be get comfortable. I just started my journey with Google Drive and your article was just what I needed. Thank you, can anyone recommend a plug in for “blog checking?” Maybe there is an option for that in Drive that I’m missing? If not please send your recommendations. I am an investor in westport, ct. I have some excel files of agents info have to upload on google dive so I am learning about it. I found your article so helpful. Thanks for sharing. A little mad that you say, “You’ve probably never heard before” because I’ve heard of half of these before. But good info, nonetheless. Is there a way we can incorporate Status Bar on shared Folders ? Company A: Creates a shared folder for XYZ to get details , Sends a Form requesting to fill in the Candidate credentials. Candidate XYZ: Half fills the form.Information Auto Saved. Company A: Instead of opening the folder& checking if it is filled or no or how far it is filled at regular Intervals.Is there a way we can incorporate a Status Bar with the Percentage of Completion So when we open the folder we know& can take required action without digging into the file. Hey Ehtisham, thanks for the comment. It might be the case that your browser’s zoom level isn’t 100%. That can really throw Google Docs off. Try hitting ctrl+0 (or cmd+0 on Mac) and see if it fixes it. Hey Vinay, any idea how i can see or pull up the total amount of time collaborators or editors are logged or signed into drive. If so, can we further drive into stats that show some kind of level of productivity? I wanna know this to access their productivity level. THANKS! I downloaded Drive App and wanna sync drive to mac. My mac says im running outta space. Is there a way i can sync to external HD? Very good post. I’m facing some of these issues as well.. I have come across this error warning a lot lately. “can’t convert 931 photos to high quality”. A lot of the images are jpg but some are psd, svg ..etc. I have drive set to upload and sync all files and folders to my drive cloud. I don’t know why it thinks it needs to scale down psd and svg files. Is there a way to teach it to simply convert jpg files only? My name is Aly and I would like to know if you would have any interest to have your website here at process.st promoted as a resource on our blog alychidesign.com ? Hi Aly! If you think this resource would be useful for your readers then definitely go ahead and point them to it. The more the merrier. I have a question. I’ve been into google apps for some time. I really like everything they do. I hadn’t been much into google drive as i’m a terrible tinker and have a zillion systems around the house syncing stuff to them. then i baught a Chromebook. Im something of an open source / linux purist. I have scoured the internet for a windows file explorere – like manager for drive that is also open souce and free. have you seen anything like this ? for chromeos or win 10 64 ? driving mme insane so any support is very much appreciated. Hey, yep, we get a lot. We set our comments so that they need to be approved before they’re posted. I block out time each week to sort through the comments and approve useful ones and trash the spam. There are loads of tools out there which may help you depending on what platform you’re using. Wow such a great post. I used Google drives for years but didn’t know half of these tips. Google Drive got its early breaks in the market by being far superior at collaborating with others than any other tool out there. I’m excited to discover this website. I want to to thank you for your time for this fantastic read!! I definitely savored every part of it and I have you saved to fav to check out new information in your blog. useful. Thank you for sharing! I blog often and I truly appreciate your information. to bookmark your blog and keep checking for new information about once a week. and take control of your workflows today.